The original Fulton Mansion gallery floors, built with steel I-beams and arched shellcrete barrels between each I-beam, had lost their structural integrity. The structural design of the floors was fairly common for commercial and municipal buildings built after the Civil War and into the early 1900s, but it was quite the exception for a residence. Although the interior structural floors are solid longleaf pine, the galleries, or what we refer to today as a porch, needed to be made out of materials more resilient to our harsh coastal conditions. As a bridge builder for railroad companies, George Fulton was knowledgeable in steel bridge engineering, and his experience led him to build the galleries with steel beams, arched shellcrete barrels topped with four inches of additional shellcrete, and paver tiles. His design, which used the most modern technology for its time, served his family and future owners for almost 140 years, but the structure had finally succumbed to Aransas Bay’s harsh environment. 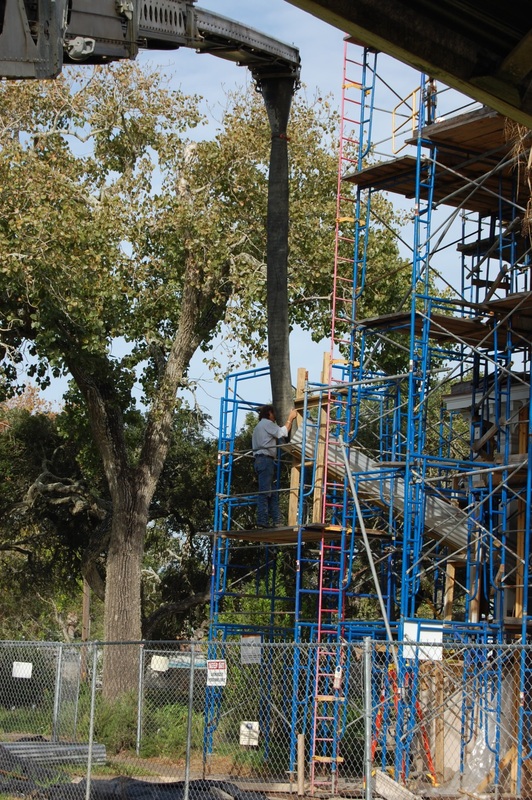 After months of surveying and studying all available options, the Texas Historical Commission, with recommendations by Pat Sparks Engineering, determined the galleries must be dismantled and replaced. The new galleries are constructed of reinforced concrete with stainless steel rebar and wire mesh. All historic measurements of the I-beam arches have been reproduced. Another challenge for the project was making sure the modern concrete bonded to the historic shellcrete. 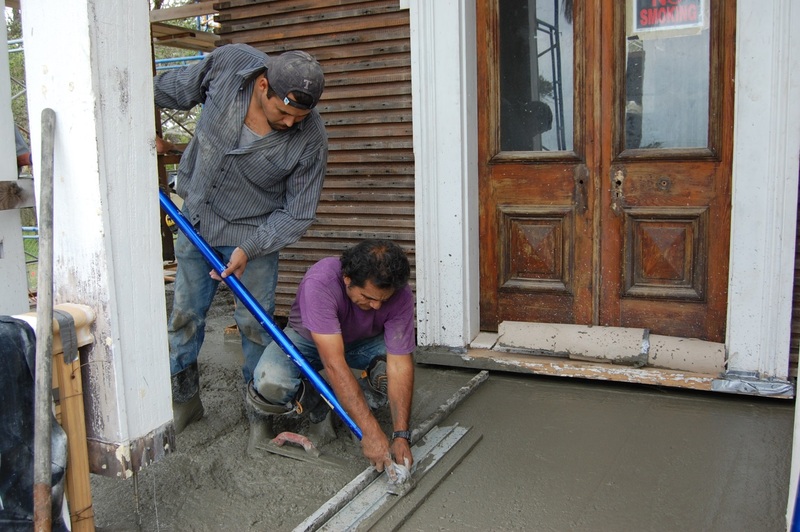 Shellcrete was used in early construction along the Gulf Coast. Shell and sand were readily available and binders varied somewhat per town or settlement. Shellcrete is not concrete, but rather hard mud with sand, oyster shell, and varied formulas of natural and man-made cements. The final hurdle was finding a way to pump the new concrete mix into the gallery areas. 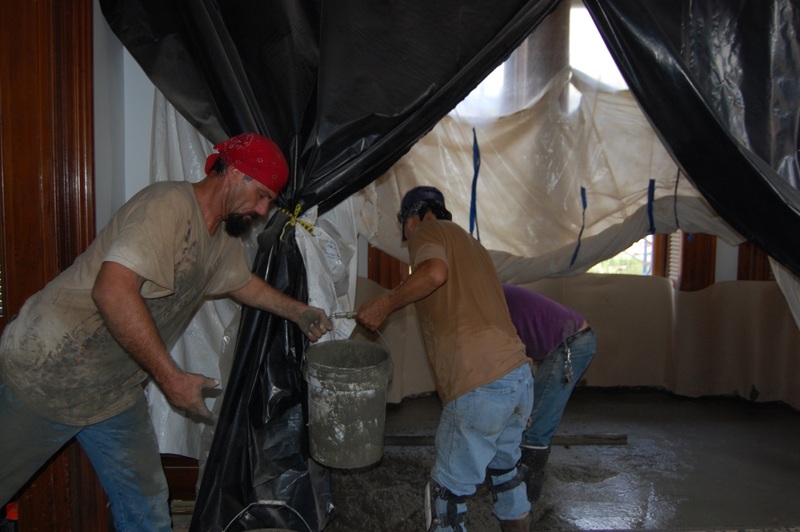 In order to ensure a bond to the shellcrete, the mix used a very small amount of cement and water. It was too dry to flow through a pump truck. Kissling was concerned that his crew might have to carry buckets up 10 stairs to get the concrete to the galleries. 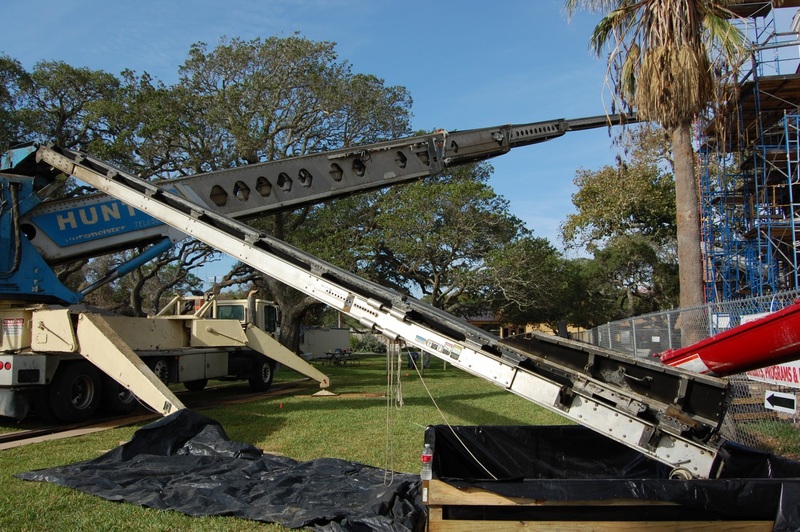 However, he found Hunter Concrete Pumping of Hutto, which delivered the concrete to the galleries using telescoping conveyor belts. The mansion’s structural integrity has now been restored. Conveyors move concrete into the new galleries at Fulton Mansion. Wow, what an incredible undertaking. Thanks SO much for your work in preserving the home.